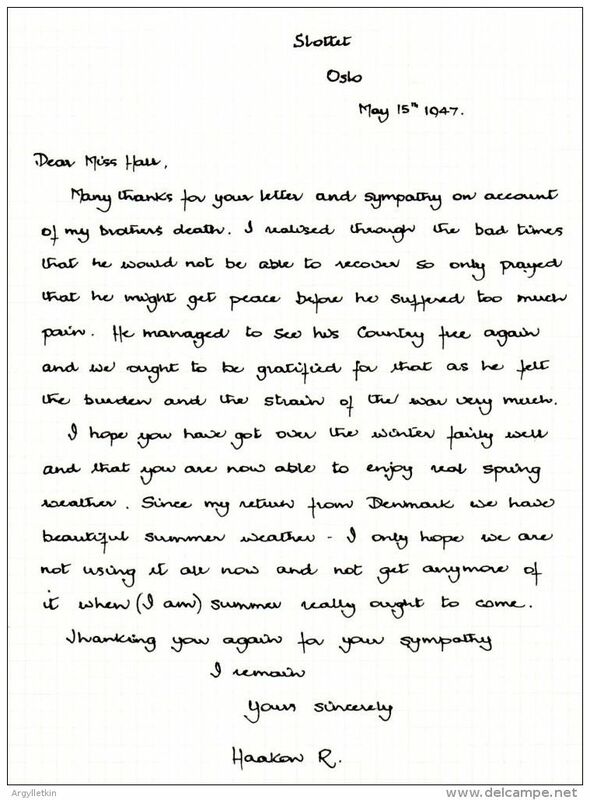 Mourning letter from King Haakon on the death of his brother in 1947. 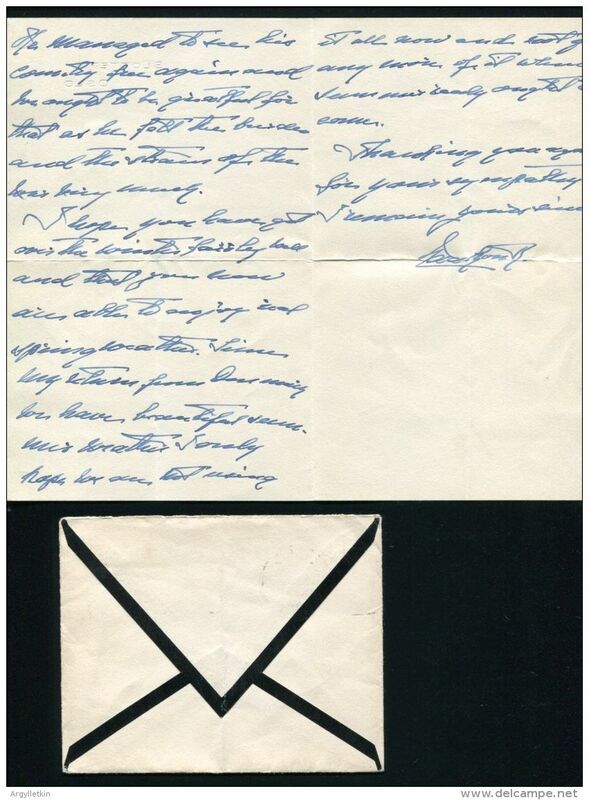 The letter was written to Miss Hall, housekeeper to Sir Cecil Dormer. The Dormer family played an important role in Norway\'s history as Sir Cecil was British Ambassador to Norway at the outbreak of World War 2. Sir Cecil arranged for the evacuation of King Haakon and the Norwegian Royal Family to Britain before the Nazi Occupation of Norway. King Haakon lived at the Dormers home during the war and Miss Hall, Sir Cecil\'s housekeeper, became a friend. In the letter, King Haakon writes of his brother; \'He managed to see his country free again and we ought to be gratified for that as he felt the burden and the strain of the war very much\'. A fine and important letter.